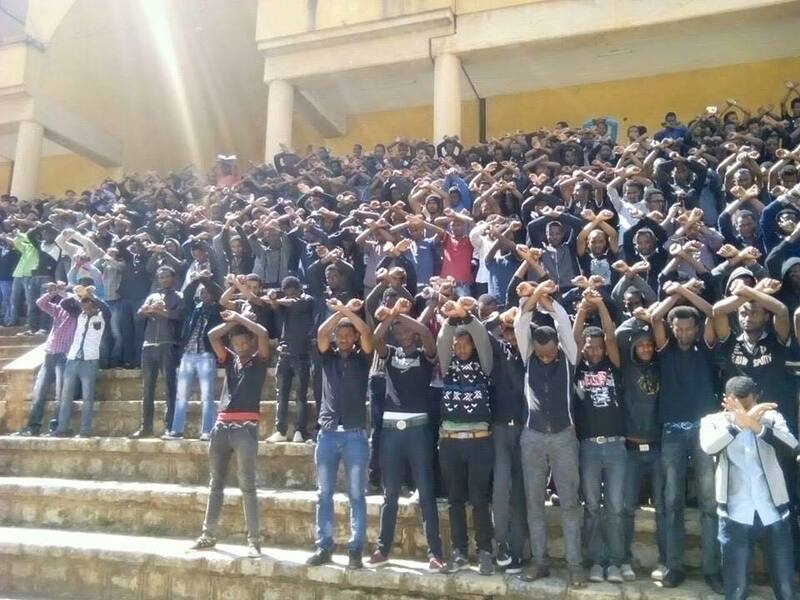 Students in Ethiopia’s largest administrative region, Oromia, have been braving state-sponsored violence and censorship since November 2015 to protest a government development plan. Human Rights Watch has reported that at least 140 peaceful protesters have died since the demonstrations began. Those killed include university and secondary school students, farmers and school teachers. Despite mounting evidence to the contrary, Ethiopian authorities and pro-government commentators say the number of dead is around five people. 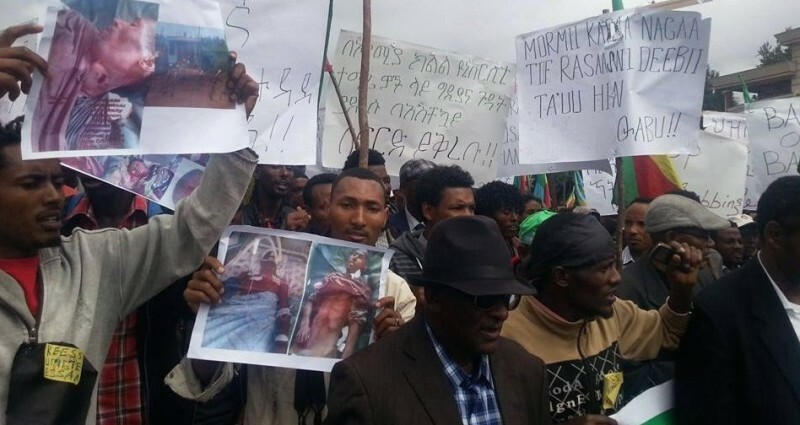 The protesters are speaking out against the so-called “Master Plan” to expand the capital city, Addis Ababa, into Oromia, fearing that the proposed development will result in direct persecution of the Oromo ethnic group, including mass evictions of Oromo farmers from their land. Read more: Why Are Students in Ethiopia Protesting Against a Capital City Expansion Plan? The government claims that the plan is only meant to facilitate the development of infrastructure such as transportation, utilities, and recreation centers. Oromo people, who represent the largest ethnic group in Ethiopia, have experienced systematic marginalization and persecution over the last quarter century. Some estimates put the number of Oromo political prisoners in Ethiopia at 20,000 as of March 2014. The country’s ruling elite are mostly from the Tigray region, which is located in the northern part of the country. The students also demand, among other things, that Oromo, the language of the Oromo people, be made a federal language. Despite being the most widely spoken language in Ethiopia and the fourth largest African language, it is not the working language of the federal government. This is the second wave of protests against the plan in less than two years. The development project was stalled following protests in May 2014, but also saw at least nine demonstrators killed and hundreds of ethnic Oromo students imprisoned. Officials decided to resume implementation of the project in November 2015, sparking renewed demonstrations. Social media and satellite TV channels have proven to be critical communication avenues for protesters, despite Ethiopian authorities’ often cutthroat efforts to silence their critics. Participants have captured photos, audio and video of security forces’ brutal efforts to stop the peaceful protests, including using live ammunition to disperse crowds at universities in Oromia. The material has then frequently been shared on the Facebook pages of prominent activists or uploaded on Ethiopian online platforms such as EthioTube, a video platform run by Ethiopians living abroad. In response, the government has launched a propaganda campaign against the use of the social media, with state-owned media organizations dedicating multiple programs to the argument that online platforms are being used by so-called “forces of harm” to instigate violence and tarnish Ethiopia’s image. Given that less than four percent of Ethiopians have access to the Internet, documentation of protests does not exist solely online. Photos and video shared online by demonstrators are regularly picked up by diaspora satellite television news programs (such as ESAT and Oromia Media Network) that broadcast to tens of millions of Ethiopians in Amharic and Afan Oromo, two of Ethiopia’s major languages. Executives from the two satellite channels have reported that Ethiopian authorities attempted to meddle with their broadcasting services. Citizens have written posts on Facebook indicating that security forces were attempting to remove satellite dish receivers from rooftops in the Oromia region. Amid the crackdown, authorities also arrested two opposition politicians, two journalists, and summoned five bloggers from Zone9 collective, who were acquitted of baseless terrorism charges just two months ago. Ethnic Oromo singer Hawi Tezera was reportedly beaten, arrested, released and then rearrested in the space of just seven days by government security forces in connection with her song about the protests. Security forces have been ruthless in their attempts to disrupt the protests. Photo and video evidence suggests that most of these killings were done by bullets fired at close range. At least 10 people died from torture inflicted while they were in prison, according to Oromo rights activists. Global Voices author Endalk created an interactive map with help from Oromo activist Abiy Atomssa of 111 people who have died during the protests in recent months. We ask that any person who has evidence of the death or disappearance of protesters please contact us at editor@globalvoicesonline.org. Killings by security forces & mass arrests continue, particularly of university students. Oromos feel they are treated like second-class citizens and complain that corrupt local officials demand bribes and make money off shady land deals that don’t give farmers enough compensation.